Andrej walks past the Šehidsko Kovaci cemetery, resting place of Alija Izetbegovic, the first president of Bosnia & Herzegovina. Graffiti adorns the walls of an abandoned former UN building in Srebenica. In July 1995, by order of General Ratko Mladic, the Bosnian Serb Army of Republika Srpska (VRS) murdered 8000 Bosniak Muslims who had sought refuge in and around the town of Srebenica. 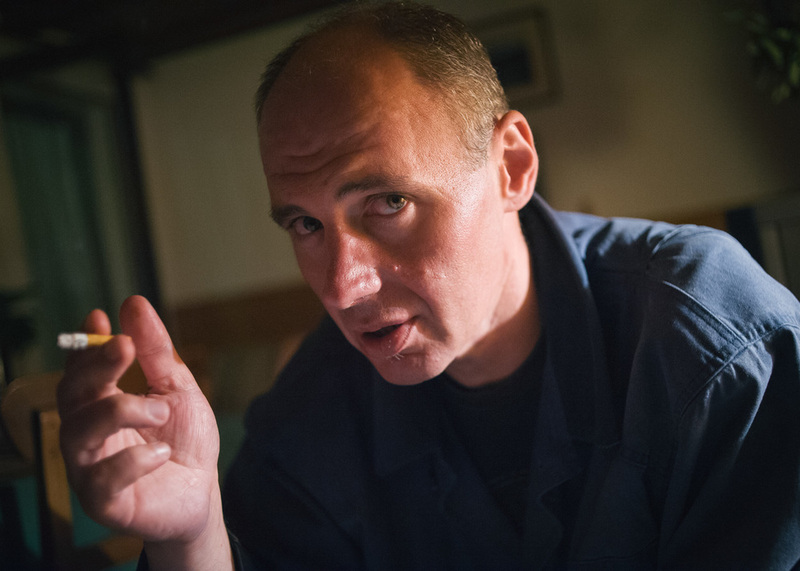 Andrej, a former Special Police Officer, drinks coffee in Old Town Sarajevo. Although many Sarajevans are eager to move out from under the shadows that the conflict cast on their city, the scars left by the war are visible throughout the city. Andrej fits his old police badge, or possibly a replica, to his belt. 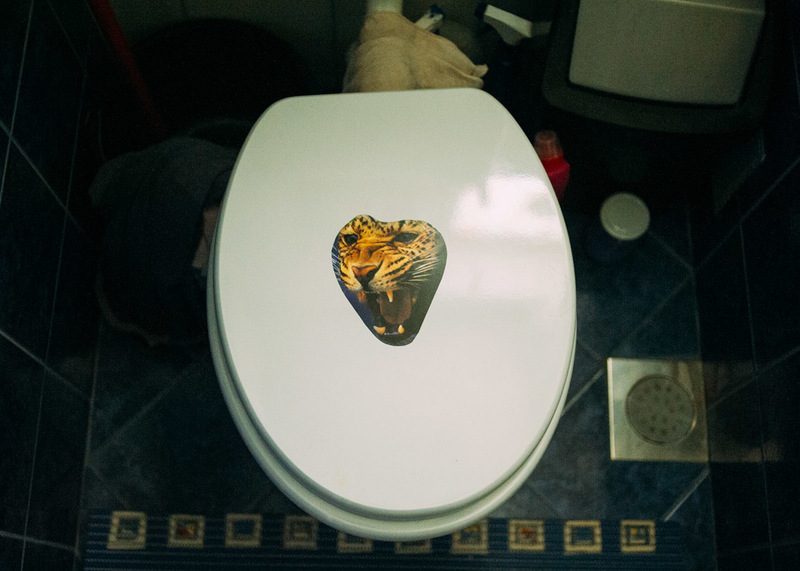 He wore it as a badge of honour, proudly showing it wherever we went. Andrej had his blood type, O+, tattooed on his wrist. As he explained, this was in case he wasn't conscious to tell the medic working on him himself, which was the case more than once. The ICAR Canned Beef Monument, a sardonic tribute to the international community for the aid they provided during the 1992-96 siege. This barely edible 'meat' would have been gladly substituted by many Sarajevans for weapons with which to defend their city from the Serb forces. The waiting room in an unusually quiet government building. 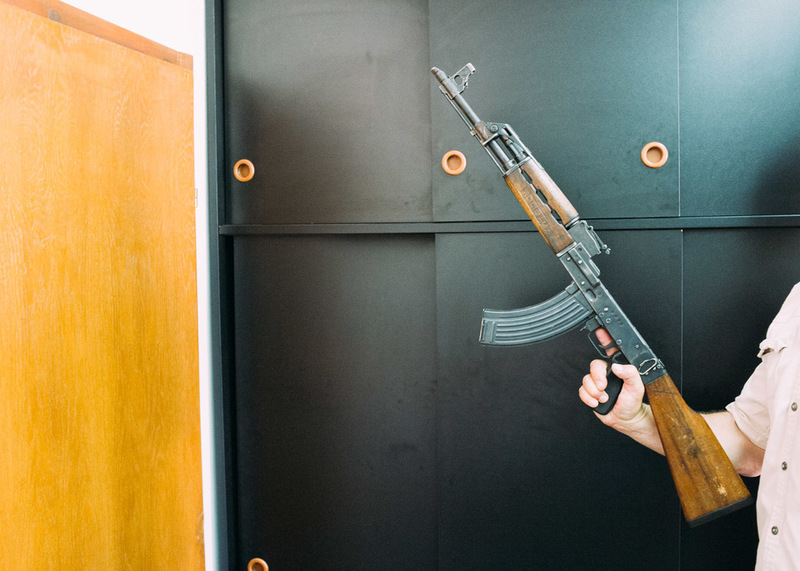 A deactivated Kalashnikov AK-47, one of the few weapons we were able to locate in our search. The same person who presented this gun also had a .50 cal machine gun and a rocket launcher which were photographed, however as we went to leave he asked to see and then deleted those photographs. 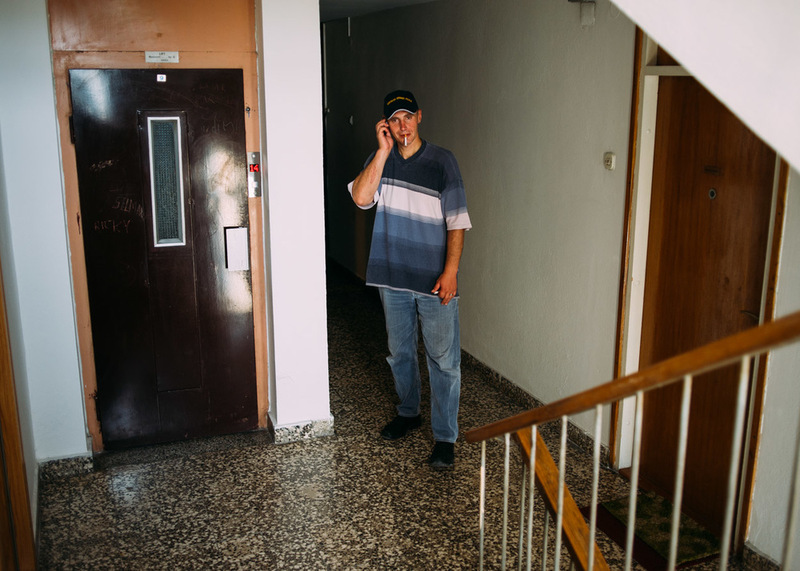 Waiting on a contact in the stairwell of an apartment building in downtown Sarajevo. Much of the we spent together was spent waiting to hear back from people, or to have access to places that often never materialised. Meeting some of Andrej's young friends, college students who look up to Andrej and enjoy hearing his stories of the siege as much as he enjoys telling them. Andrej inspects replica medals at a trophy shop. Also shown in the window are replica police badges, similar to the one on Andrej's hip. A homemade, single-shot suppressed pistol. Weapons like this were used during the first years of the siege, in lieu of real guns which only came later. Andrej with his mother, of whom he is fiercely protective. Crossing the border into the Republic of Srpska, or the Serb Republic, where Andrej and his mother have a home in a rural area. Although Andrej enjoys the tranquility of the area, he said that being there sometimes made him feel uneasy. Walking the short distance from the bus stop to the house, Andrej constantly looks around him. He explains that the people there know that he is from Sarajevo and that in their former lives, they would have viewed each other as enemies. 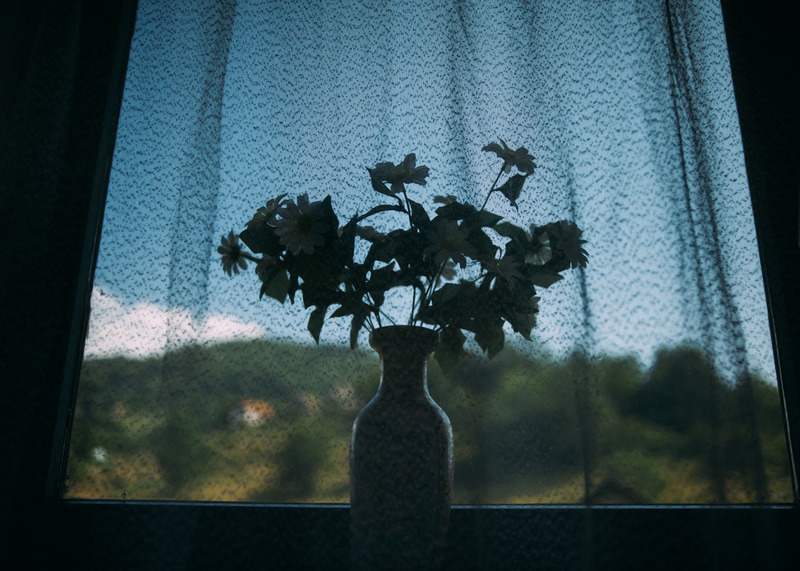 A vase of fake flowers sits in the window of Andrej's home in the Republic of Srpska. 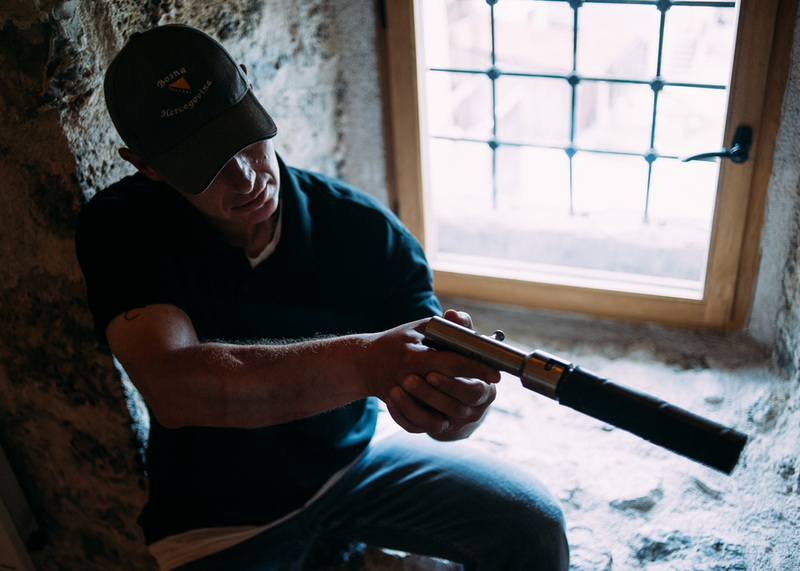 Andrej has a deep fascination with the military and weapons and would often speak of his days in the Special Police, as well as the time he spent working for a private security company in Iraq and Afghanistan in the years after the war in his own country ended. 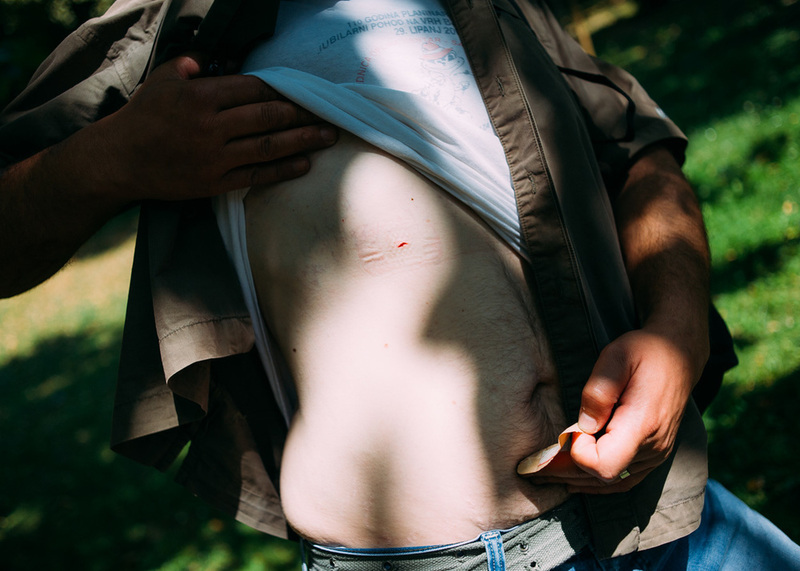 During an altercation with a local gang who had taken an interest in the story we were working on, Andrej was stabbed in the chest with an ice pick, by a boy he claimed could have been no more than 12 years old. He believed this was some sort of initiation for the child. Although not a devoutly religious man, Andrej would occasionally visit one of the cathedrals because of the peace that it brought him.